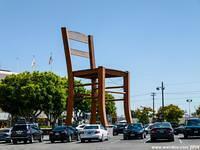 Los Angeles plays home to a 40 foot tall chair! 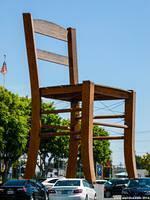 Built in 2003, this 40 foot tall, 24 ton chair was at one time the Largest Chair in America. It takes up six parking spots in a parking lot for the LA Mart building in Los Angeles. It was made in Friuli, Italy and was a gift from Promosedia, which is an association of chair and table manufacturers in Manzano, Italy. 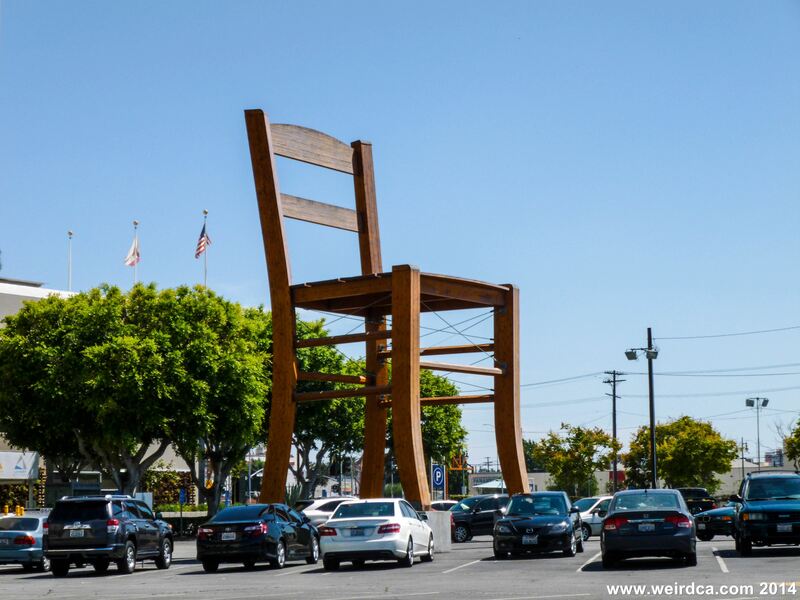 The giant chair in LA stands in the parking lot for LA Mart, which is a 500,000 square foot home and furniture store open only those involved in the furniture trade, ie only those in retail and commercial businesses or involved with interior designers. It was originally designed for the 35th NeoCon world trade show in Chicago, but after the conference was finished, the chair was sent to Los Angeles in order to avoid deterioration due to the weather in Chicago. Merchandise Mart Properties manages both the LA Mart and a Chicago based furniture store. Rising up out of the parking lot, this giant chair was once America's Largest! In 2008, a 42 foot tall rocking chair was erected in Fanning, Missouri, along Route 66, which made it the Largest Chair in America. 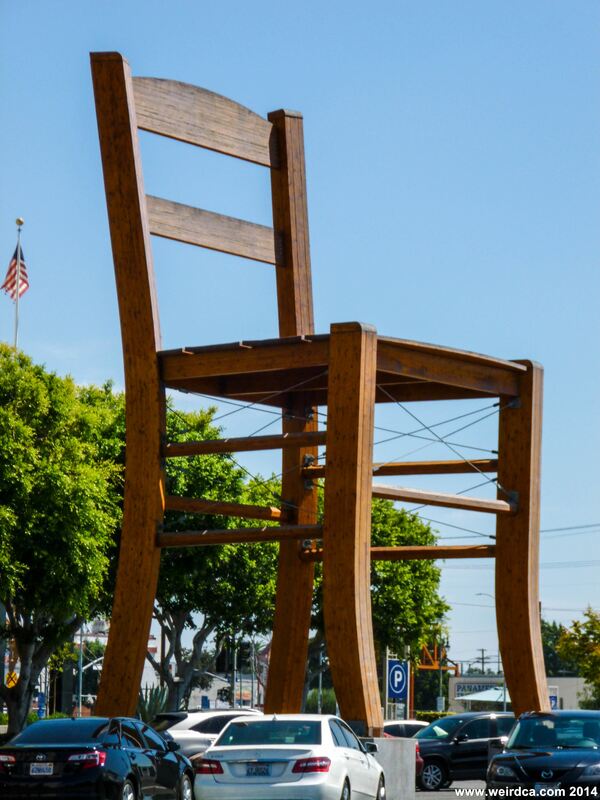 However, the Largest Chair in the World is located in Italy, and is a 65 foot tall chair set up in a traffic circle in Manzano. It was made and is owned by Promosedia, the same company that created the 40 foot tall chair in Los Angeles. 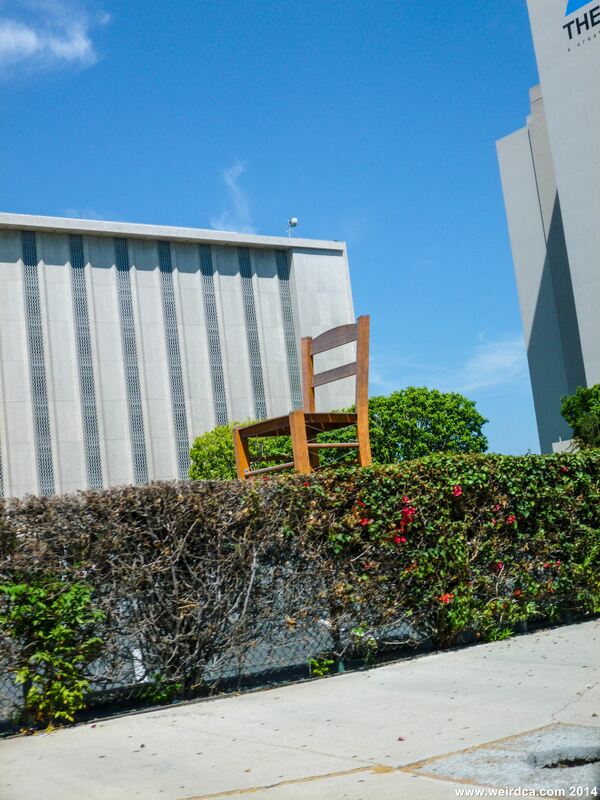 There is another large chair in the Los Angeles area. The Pacific Design Center in West Hollywood has a 25 foot tall chair, which was standing before LA Mart's more impressive 40 footer. Unlike the LA Mart Chair, which is more of a classic style chair, the Pacific Design Center Chair is more of a stainless steel style of chair. The Pacific Design Center also has a large lamp. They are called the "Seat of Design" and "Illuminating Design" respectively, and were put up in October 2002.